The Sun is moving into Pisces tomorrow and will stay there until March 20th. 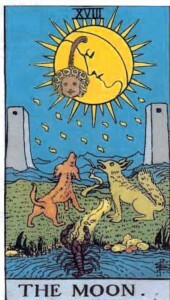 Looking at this transit through the eyes of the Tarot, it’s like the Sun is wearing the Moon’s clothing. He’s still smiling, but most of him has been eclipsed. 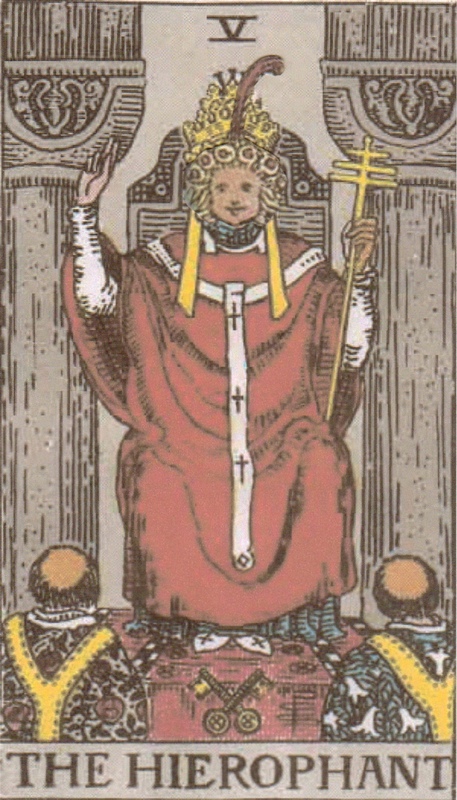 The Sun in Pisces, or the Sun dressed as the Moon, is a time when what’s hidden is brought to light, and what’s been unconscious can suddenly be known. 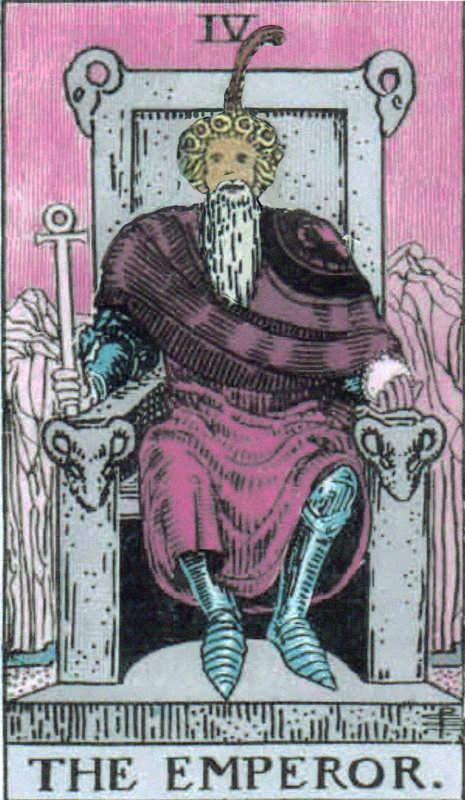 Clarity is likely to arise from the haze and your own inner wisdom may be exposed. So might be some elements of yourself and others you’re not as fond of, but at least now you can see what’s normally not so apparent. Let your intuition guide you, and your dreams act as messages to help make you stronger. 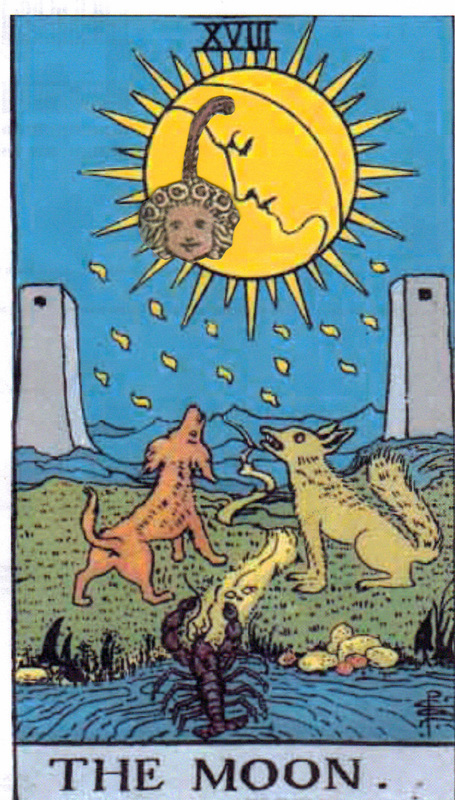 It’s a powerful time when the Sun and Moon get together. Conflicted though it may be, it can open up a whole new world. 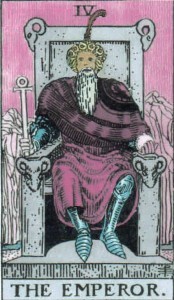 The Sun just moved into Aquarius and will be there until February 18th. Looking at this transit from a Tarot perspective, it would be like the Sun child is dressed as the Star. He’s as naked as he ever was, but now he’s a lady, and up past dark. 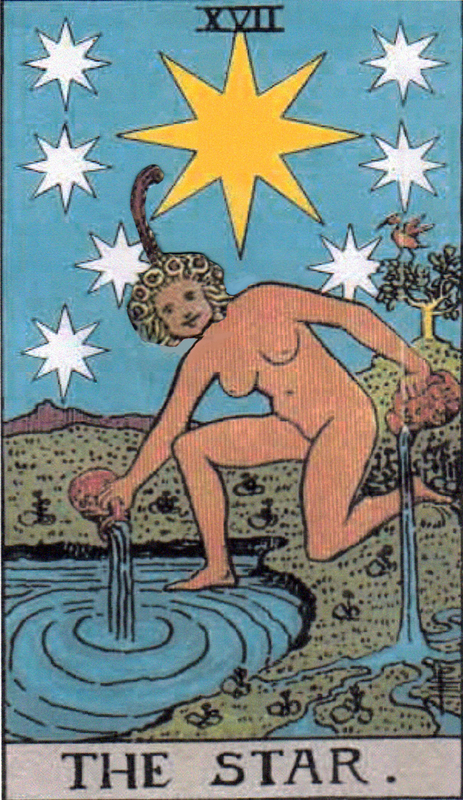 The Sun in Aquarius, or the Sun dressed as the Star, is a time of active grace, perfect for healing and emotional renewal. It’s a wonderful opportunity to dream, and to allow yourself a ray of optimism, especially if the going’s been a little rough lately. Trust yourself, and the universe. It’s not out to get you. In fact, it wants to help. Find your flow and don’t be afraid of letting your feelings spill out. You might have needed to for a while now. And if there was ever a time to wish upon a star, this is it. She’s listening. The Sun moves into Capricorn today, and will stay there until January 20th. 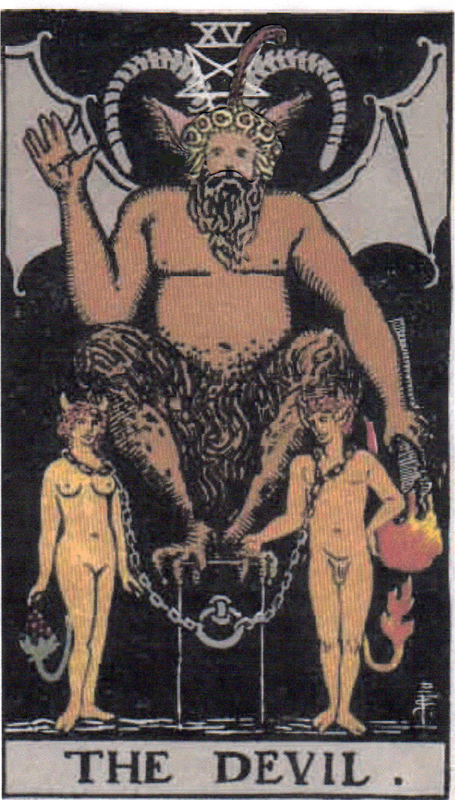 From a Tarot perspective, this transit would be like the Sun child is dressed as the Devil. He’s gotten hairy and has gone underground. The Sun in Capricorn, or the Sun dressed in the Devil’s clothing, is a good time to look at areas in your life that feel restrictive, whether from the outside, or from within. If you feel chained, unchain yourself. But if you like your chains, then just enjoy. Be aware though that you’re the one to choose. 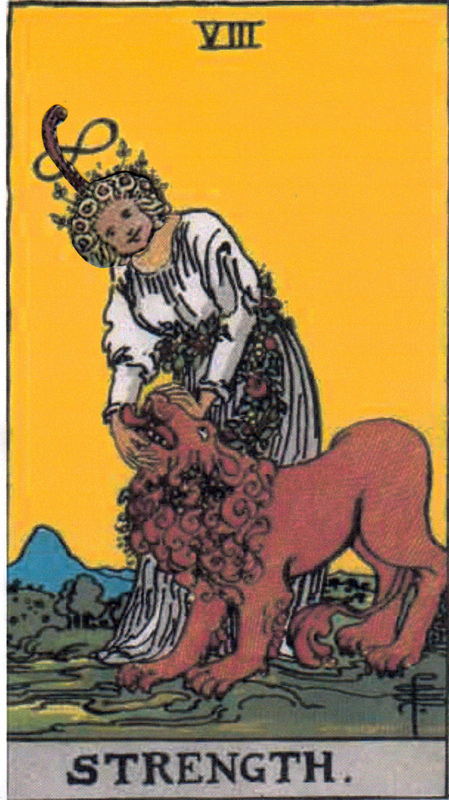 Serious play, or structured freedom is also highlighted during this transit. And that makes sense with the holidays. You might not be working at your regular job, but you’re not completely free either. There’s an obligation to celebrate, whether you want to or not. And since that’s the case, you might as well dive in and enjoy this time for all it’s worth. Work hard and play hard, but try not to take any of it too seriously. 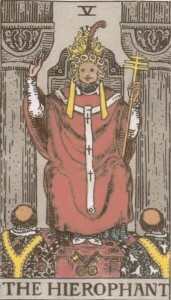 The Sun moves into Sagittarius today and will be there until December 21st. 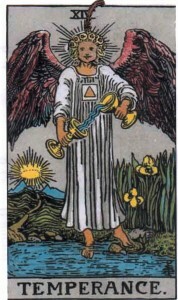 If we look at this transit from a Tarot perspective, it would be like the Sun is dressed as Temperance. He’s done up like an angel and is playing with water. 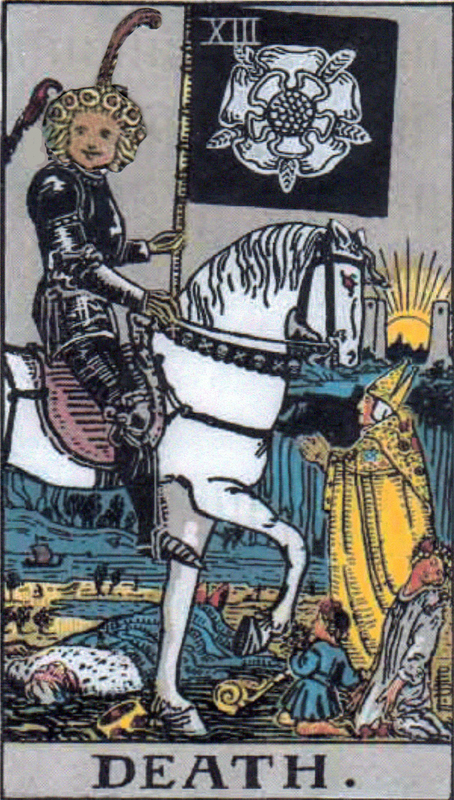 The Sun in Sagittarius, or the Sun dressed as Temperance, is a time of energetic harmony and balanced enthusiasm. 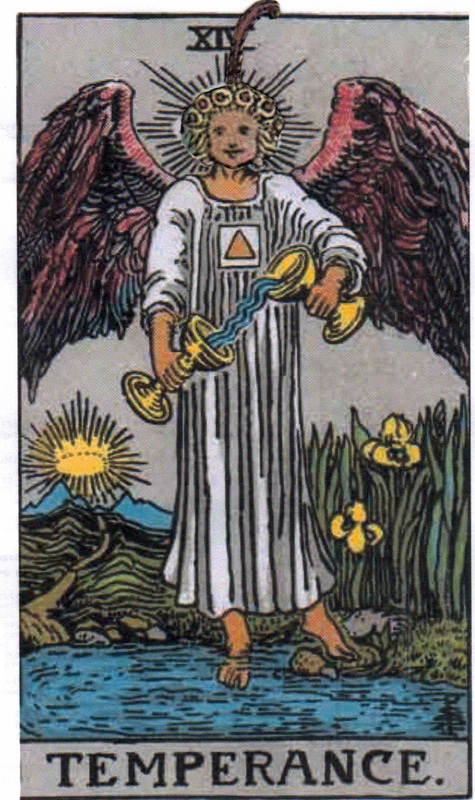 Use it to expose any imbalances that might be tilting you off kilter and gently readjust as required. Have fun with the world around you, and be open to connections beyond the five senses. Preconceived ideas of what’s possible will only hold you back. We can’t always see divine energy at play. Then the Sun shines just right and a rainbow appears. The Sun moves into Libra tomorrow and will stay there until October 23rd. 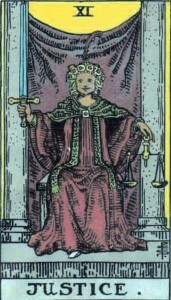 Through the eyes of the Tarot, this transit is like the Sun Child is dressed in Justice’s clothing. 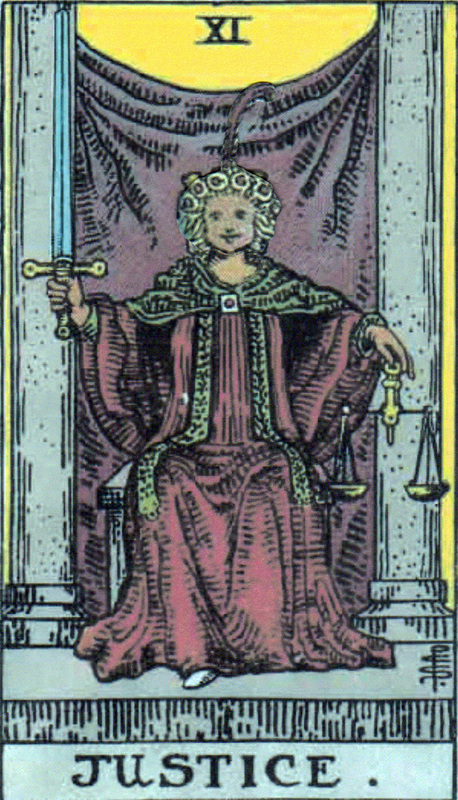 The Sun in Libra, or the Sun Child dressed as Justice, is a period of enthusiastic equilibrium, a time to energize by rebalancing. Karma is exposed, and cause and effect are more obvious than usual. It’s a great time to figure out what effects you’d like to cause going forward. There’s power in restraint, and in letting go. The creative process needs both, not too much, not too little. The trick, of course, is getting the balance just right. Use this month to figure out yours, and shine while you’re doing it. The Sun moves into Virgo today and will be there until September 23rd. 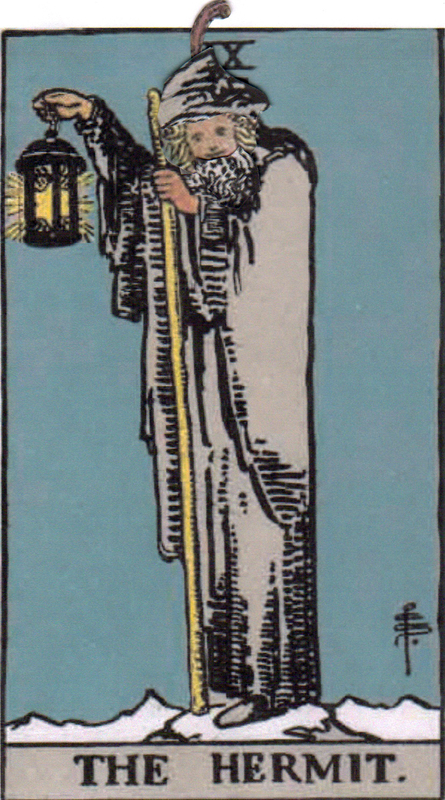 If we look at this transit from a Tarot perspective, it would be like the Sun child is wearing the Hermit’s clothing. He’s tucked his curls into a cowl and is wandering in the snow. 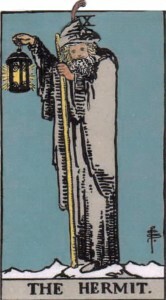 The Sun in Virgo, or the Sun child dressed in the Hermit’s clothing is a time of enthusiastic order, and wisdom laid bare. Enjoy learning, digging up the details, and brightening old ways of doing things with fresh insight. Tie up loose strings, finish outstanding projects, and gather the information you’re going to need for the next stage of your journey. In a phrase – get organized! There’s energy to do it now that can make the process a pleasure rather than a chore. And don’t worry if you’re not moving as fast as you might normally. Take your time. We can miss so much when we hurry. 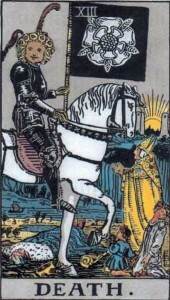 You are currently browsing the Tarot Sun Transits category at The Tarot Room.